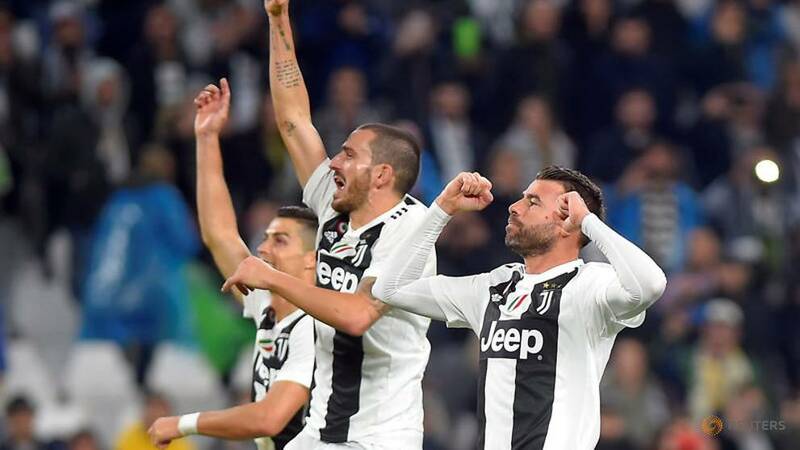 Juventus remained six points clear at the top of Serie A with a 3-1 victory over Cagliari, as Inter Milan and Napoli stayed in touch with big wins over Genoa (5-0) and Empoli (5-1) respectively. Having failed to even make the substitutes bench for Inter Milan's first nine league matches of the season, midfielder Joao Mario burst into life with three assists and a goal in the 5-1 win over Genoa. A Euro 2016 winner with Portugal, Joao Mario fell out of favour when Luciano Spalletti took over as coach last season and was loaned to West Ham United in January. After returning from London, the 25-year-old said he did not want to stay at Inter, complaining about the pressure on him and the instability created by three coaching changes in his first year at the club. A move away from Inter did not materialise and he seemed to be stuck in limbo. However, he continued to impress Spalletti in training and, in his two appearances against Lazio and Genoa, suggested that he could be the answer to Inter's lack of a genuine playmaker. Uruguay midfielder Rodrigo Bentancur was singled out for praise by coach Massimiliano Allegri for his performance in the 3-1 win over Cagliari. After providing the pass for Paulo Dybala's goal in the first minute, he produced an impressive all-round performance, breaking up Cagliari attacks with key tackles and interceptions. The 21-year-old, who joined from Boca Juniors last season, has been phased in this term, partly as a result of injuries to Sami Khedira and Emre Can. "Rodrigo has come on loads and Miralem Pjanic is helping him with his distribution. He reads the game well and is good at winning the ball back high up the pitch. He's young and he's improving all the time," Allegri said. After a drop in form which cost him his place in the Italy squad last month, Torino striker Andrea Belotti sprang back to life with two goals in their surprise 4-1 win at Sampdoria on Sunday to end a six-week goal drought. "I've coached a few forwards in my time and they always have phases like that," coach Walter Mazzarri said. "Belotti has always worked hard, he makes the right movements and I never doubted him. "He's always humble and it was just the goals that were missing... I'm glad he's broken the ice and convinced he'll keep doing better this season." Sampdoria's season, on the other hand, has taken a turn for the worse. Having thumped Napoli 3-0 at home in early September, they have won only one of their subsequent five matches at the Luigi Ferraris Stadium and have dropped to 11th. "A team like Sampdoria, with European ambitions, cannot lose 4-1 at home to Torino," coach Marco Giampaolo said. "It takes away some of our credibility." AC Milan coach Gennaro Gattuso tried to keep things in perspective after they chalked up their third win in eight days by beating Udinese 1-0. Milan had lost their two previous games, putting the fiery former midfielder's future in doubt. "I wasn't incompetent before, and I'm not a magician now," Gattuso said. "When you start getting results, the ball doesn't weigh as much on the feet of the players. We stayed quiet, worked hard and all took on our share of the responsibility."